He wears red, he sports a bristly white beard, he travels by reindeer-driven sleigh and he holds the most important of all holiday jobs. We’re talking about Santa Claus of course! And while we all know a lot about Santa, there are still plenty of mysteries about how he actually manages to perform his incredible job. 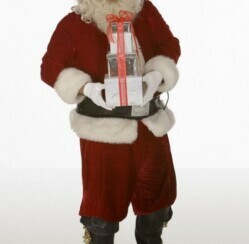 For example, did you know that Mr. Claus delivers gifts to kids at an incredible rate of 6,100 kids per second? Talk about speedy gift giving! With the holidays approaching, we’re talking Santa and uncovering the secrets of his breathtaking gift delivery itinerary. Twas the night before Christmas and eleven hours ahead of US Eastern time, Santa wakes up to start his extreme work schedule! His home base and the starting point for his epic journey? Lapland of course and the Arctic Circle. Located across the northernmost points of Finland, Sweden and Norway, Lapland has long been considered Santa’s official home. And, it’s from this highly remote location that Santa is poised to take on a delivery schedule that outshines any major shipping company’s capabilities. Because, not only does Santa coordinate a huge shipping process, he must also navigate everything from geographical, linguistic and cultural obstacles too. And all without a translator! The very first thing you need to know about Santa? When he’s at home in Lapland, he’s actually known by his Finnish name, Joulupukki! And his name changes certainly don’t begin and end there either! Santa must adapt to many language changes on his way circumnavigating the globe. 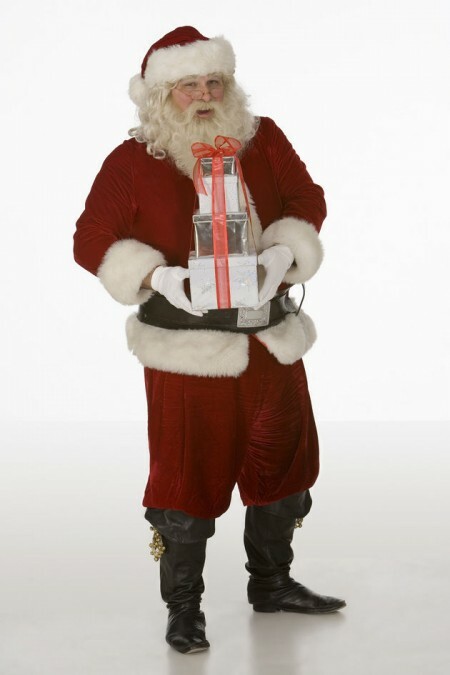 From the British Isles where he’s known as Father Christmas, to France where children call him Pere Noel, Poland where he’s named Gwiazdor, Italy where children know him as Babbo Natale and even Hong Kong where he’s known as Sing dan lo ian, Santa has to keep updated with gift requests in hundreds of different languages. Next up? Cultural changes too. After all, not all kids hang stockings by the fire. In France, children leave shoes in the living room for Santa to fill with gifts. So, alongside climbing down chimneys and locating stockings and Christmas trees Santa must remember to look for shoes as well. In fact, in Finland back on Santa’s home turf, children don’t even hang stockings! Instead they wait for Santa to visit and distribute the family’s gifts with a trusty gnome assistant. All work and no play? While Santa must deliver gifts at lightening speed, he must also stop for a little food refueling from time to time. On the menu? Traditional holiday cookies in the USA, but also a veritable holiday buffet of sweet treats and yummy Christmas delights including Danish rice pudding, French chocolate Yule log and even Polish Herring. And don’t worry about the reindeer, because in many regions Santa’s reindeer aren’t forgotten either. In many parts of Europe children are known to leave raw carrots, barley and hay out to treat Santa’s hardworking assistants as well. And finally let’s not forget all the climate changes Santa must deal with too. Think arctic chill in the northernmost regions of Europe, Russia and North America. Think hot, humid and tropical weather as he makes his way through the Caribbean and South America and think scorching hot temperatures as he hits Australia where summer is in full swing! No wonder then that Santa often finishes off his long delivery ritual on the beach, where in Australia many families enjoy a traditional holiday dinner outside or on the beach. Sure, it’s a hard job, but with a popularity ranking as high as Santa’s and 364 days of vacation, it’s a job that will definitely make many envious!